Not everyone knows their way around a kitchen, much less a pizza peel. Making pizza sounds fun, but it also sounds a little intimidating if you’ve never done it before. Dough is tricky, sauce can go from great to bad real quick, and it requires patience – something a lot of New Yorkers lack. 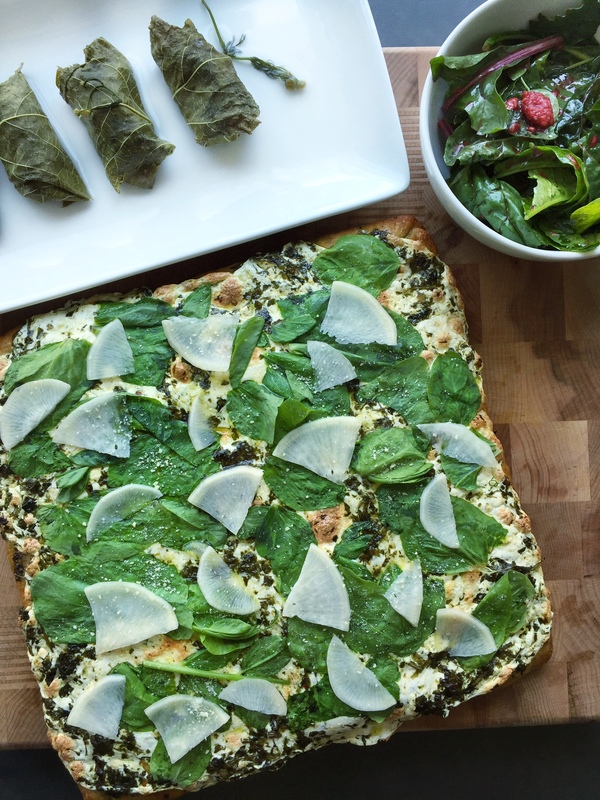 Thankfully, GG’s Garden Dinner Kit is here to help, complete with fresh herbs and greens from their garden. If you don’t know GG’s, you should. They’re located in the East Village and make some pretty slammin pizza (and salads, if I’m being honest). This Garden Dinner Kit comes with pizza, an appetizer, and salad fixins. All you have to do is assemble and bake! Well, not the salad. If you don’t know that you shouldn’t bake a salad, even this kit might be too big of a leap for you. Stick to ramen and Easy Mac. No judgment and better yet, no fires. 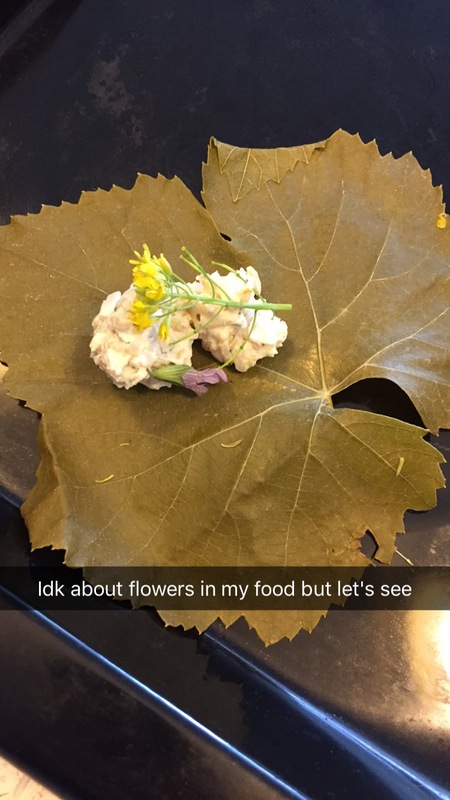 So the grape leaves were actually really good, but I’m not going to lie, I felt like I was eating flowers and that was a little strange for me (see Snapchat proof below). But they were kind of fancy (baked with chamomile broth) and I liked that. The pizza was great! Baked up all nice and cheesy, and the chimichurri added that salty, herbaceous bite. The radishes? 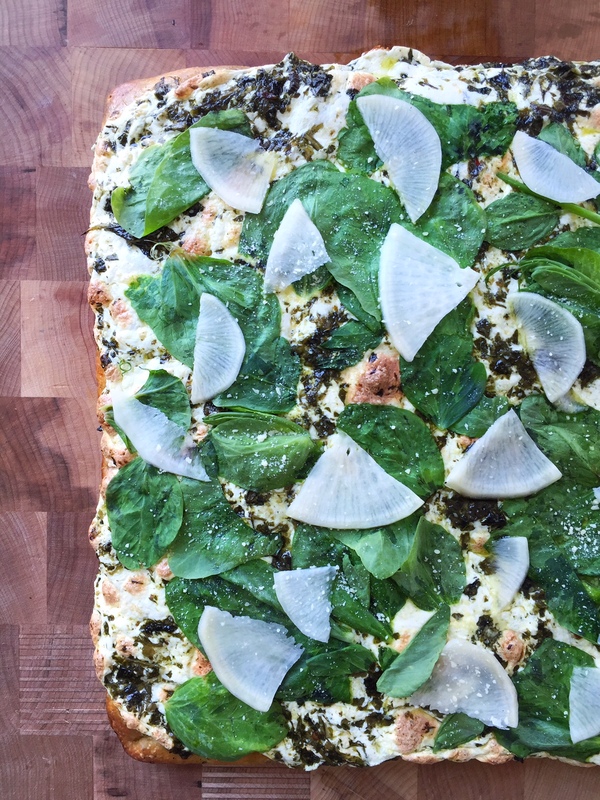 I thought they would be super bitter, but these were black radishes (even though they’re white) and in contrast to the pizza, they just gave a little crunch. The only thing I left out was the cilantro. Because cilantro tastes like soap. Well at least to me (and half of the population) it does.